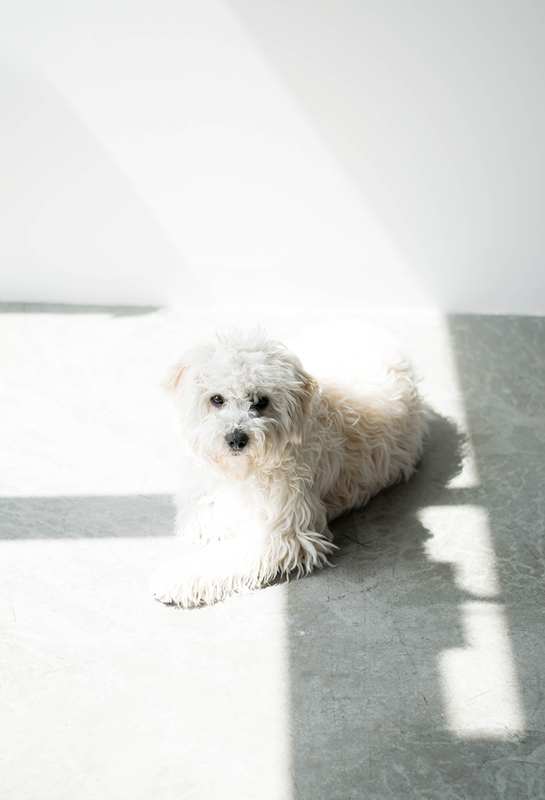 At this point I'm sure you all know my little fluff ball Gigi, who I wrote about here, and who I am constantly posting to my instagram stories. Gigi is our little fur baby and I don't think it would be possible to love her more. We've had Gigi since October and have loved nothing more than having this little pup in our lives, she brings us so much joy so we are always striving to make her the happiest we can and treat her to some of her favourite things whether that's a trip to the doggie park, a nice long walk, or a visit to Petsmart to pick up a new toy, or her favourite treats. 1. 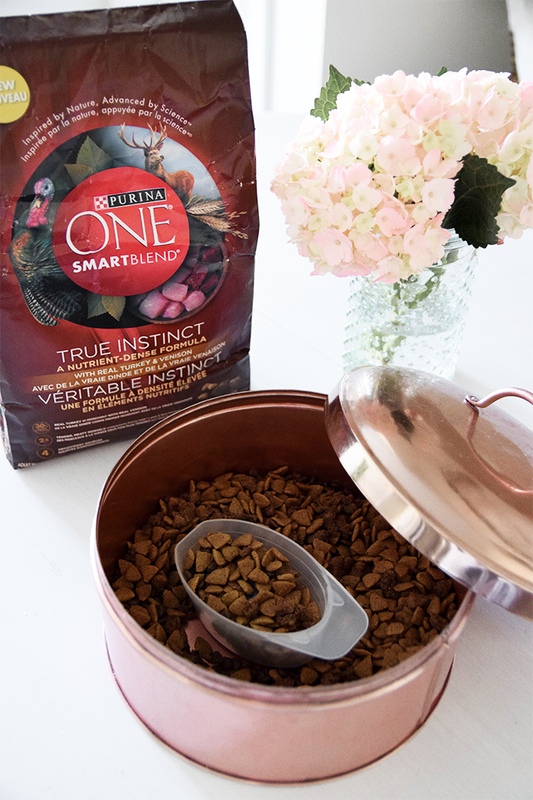 Gigi's day always starts with breakfast, we recently picked up the new Purina One Smart Blend and she absolutely loves it! She is so funny, she'll eat it all and always after every meal has a little burp and I die everytime. 2. After breakfast we take Geeg on her first walk of the day where she almost always tries to drag us to the doggie park. 3. 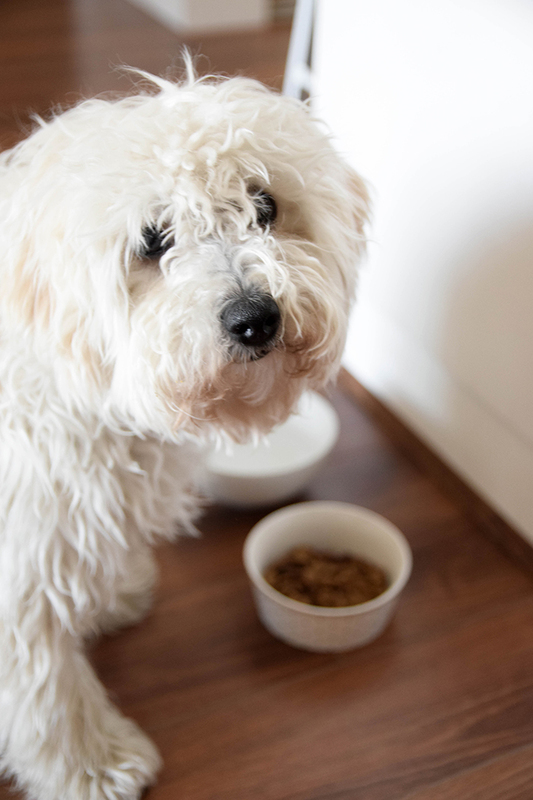 After that, it's time to pack Gigi's waterbowl and bed and head to the office! Gigi used to hate long rides in the car but now that the weather is nice she lives for sticking her head out the window and feeling the wind in her fur - you should see the peoples faces as we drive by! When I made the move out of my home office to an actual space in the city, one of my biggest concerns was being able to bring Gigi. Thankfully everyone in the space was open to it and she even has a friend to play with as two of the guys have a little Boston Terrier named Lulu so it worked out wonderfully! 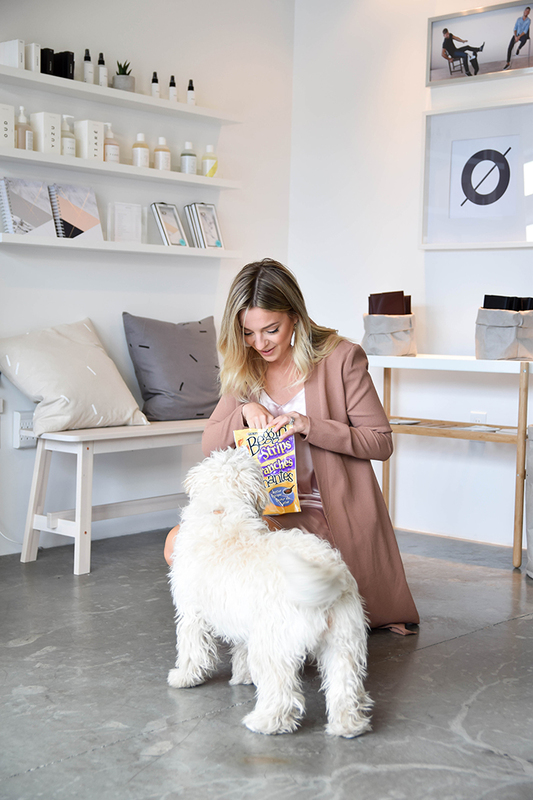 Gigi and Lulu are the resident office pups and they are two of the sweetest girls, so we're always sure to keep the cupboards stocked with some of their favourite treats including Purina® Beggin’ which they go crazy for! Gigi will play with Lulu for most of the day and sneak through the back hallways into the other offices to visit with the other tenants. We also get shoppers and visitors at the space and Gigi loves greeting them and immediately rolling onto her back for belly rubs. 4. After work Gigi and I head home where she has her dinner, nighttime walk, and waits patiently for Danny to get home and give her lots of love. Our little Geeg is so full of love and we are definitely guilty of spoiling her here and there (I mean, look at that face!). 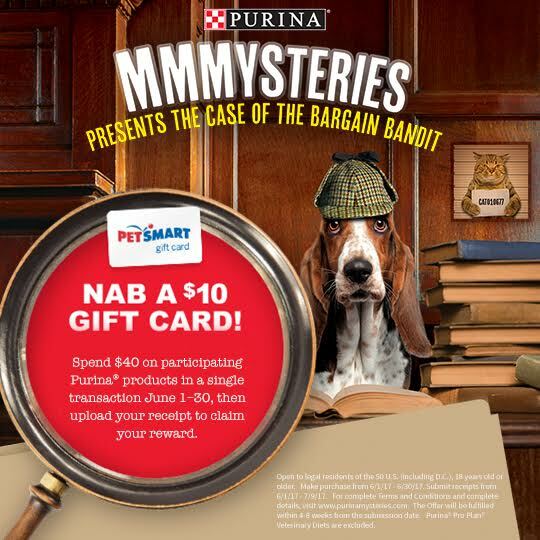 You can treat your pet too because for the month of June, when you spend $40 on Purina products at Petsmart, you will receive a free $10 Petsmart giftcard! 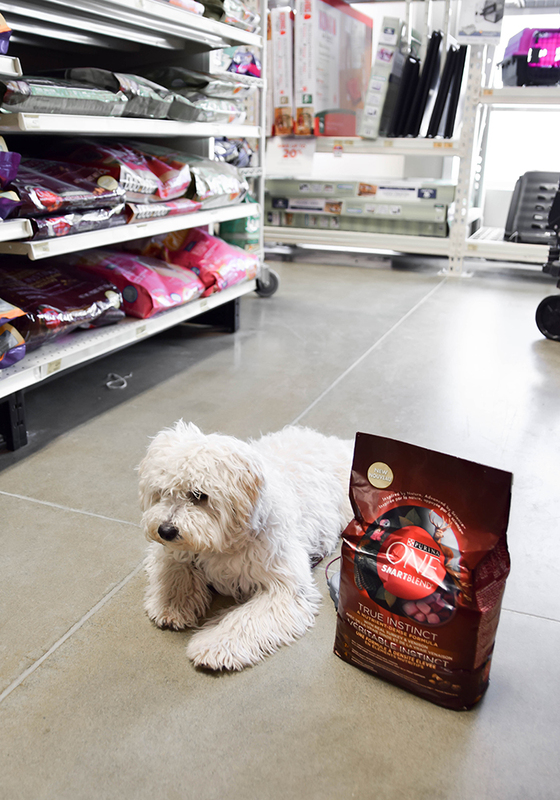 Perfect for stocking up on your pets favourite food and treats, and even throwing in a fun new toy! For more information, and to redeem your gift card click HERE, you will be able to upload your receipt until July 9th 2017.